Memphis Wedding Caterers are not all created equal. Some show up, bring some lukewarm food, and hope you've got everything else they need. We, on the other hand, prepare the food right there, so it's always hot, fresh, and delicious. Plus, we're always 100% prepared for, and focused on, your big day. You've got enough on your mind - let us worry about the food, so you don't have to. Whether your Wedding Celebration is an Intimate Setting or Grand Scale Banquet, we can create the menu to provide you and your guests with a joyous experience. Chef Dana will be happy to plan with you a combination that will please the palate and keep you within your budget. Please contact us at 901-569-5952 or 901-409-7409 so that we can help you plan beverages and tasty foods that will keep your family and friends talking about the wonderful time for many days to follow. When we cater your wedding reception for over 175 guests, you can choose our Cappuccino or Smoothie Bar for one hour at no additional charge (mention offer code 6767). Our Coffee Bar Catering is always a Big Hit at the Reception. 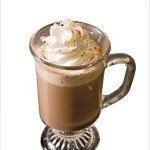 We name the drinks after the Bride and Groom, such as Laura's Wedding Day Latte and Jonathan's Marriage Mocha. 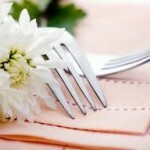 Let us help make your day special - our Memphis wedding caterers are there for you. Cancellation Policy: In order to receive a refund on your deposit we must receive written notice at least 60 days prior to your event. A 20% cancellation fee will be taken from that amount to cover our costs.